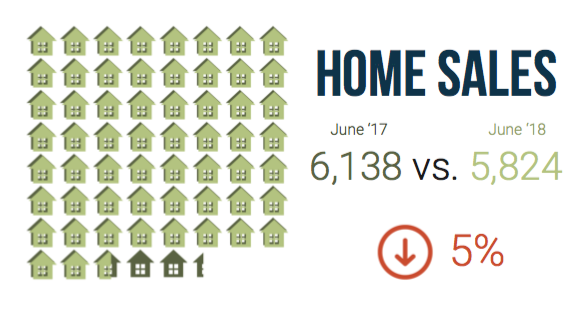 The infographic is from REColorado and compares June 2018 to June 2017. Commentary: Not much has changed. Charles highlighted a new stat - median days on market. Typically, we reference average days on market. 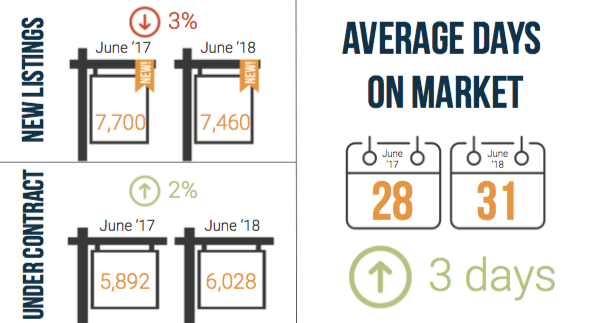 The average days on market is 31. The median days on market is 7. Big difference! 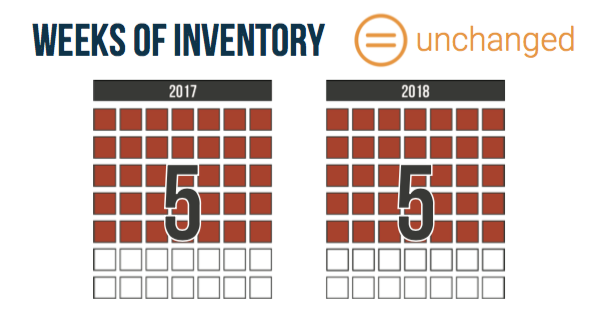 A median days on market of 7 means that half the houses on the market are under contract in under 7 days. Household (HH) formation is a very important driver for the real estate market. When your teenager lives in your basement, that is 1 HH and your family consumes one housing unit. When your teen gets a great job and moves out, you have “created” a HH and the entire family consume one more unit of housing. In a recession, your teen loses their job, abandons their apartment, and moves back in with you. That “destroys” one HH unit. (and some landlord now has a vacant unit). In economic expansions, the need for housing (rental + owned) expands FASTER than population growth. In a recession, the economy destroys HH, while population growth usually still continues. An expansion always creates, net, lots of new HH. A recession could either (net) reduce HH, be about break even, or have very slow (positive) growth in HH. The charts below show that, for the entire US, we’re creating new HH at a fast pace. Given we have positive population growth as a country and unemployment is low, that’s just what you would expect. It’s even better in Colorado, since we have a younger than average population (Millennial heavy) – prime age to have kids. Our local economy is creating jobs faster than the national average, so we import workers from other states (e.g., net positive inbound migration). 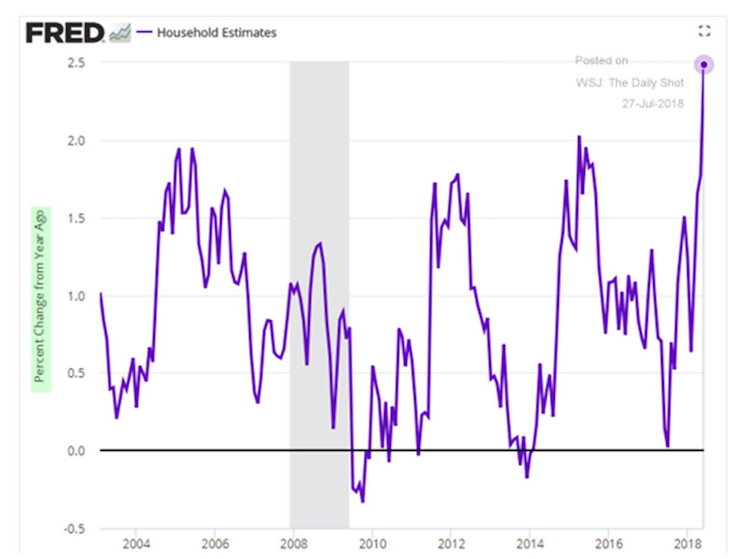 All of this HH growth is absorbing lots of new rental units (see my article with the AAMD rental stats a few days ago) and, of course, keeping the re-sale market inventory really low. 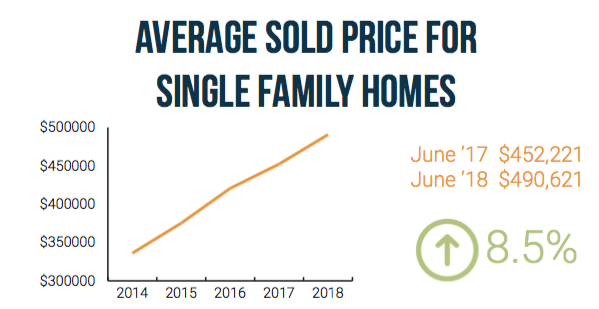 As they say, demographics is destiny, and these deep trends can give you a lot of insight in understanding what the local RE market will do over the next few years. On last month's podcast, we discussed a house hack a client had under contract. It closed last week and we wanted to share numbers. The exact address omitted for privacy. It's in North Aurora, north of Colfax and west of I-225 and UC Health and the Children's Hospital. One of our favorite value-add plays is finding 3 bedroom places, where it's possible to add a 4th bedroom. This one is about as easy as it gets. There is a large open space in the basement, that already has an egress window. Adding a wall and a door will make it a fourth bedroom. It's about 230k, and will rent out at $1,800/mo as a 3 bedroom. With a few grand to create another bedroom, we can get rents around 2050/mo. That puts it at an 8.4 cap! Creating your real estate investing plan and putting together your team can be a daunting task. That's why we offer a free investment consultation to anyone - with no obligation or "hard close" at the end. Our approach is simple - just have a conversation where we can ask you questions to get a solid understanding of what you want to accomplish with investing in real estate. Then, we'll start helping you put together your investing plan.